I've got good news and bad news for those of the misguided perception that Linux is somehow impervious to attack or compromise. 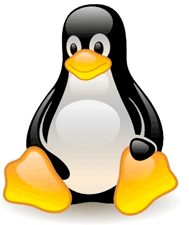 The bad news is that it turns out a vast collection of Linux systems may, in fact, be pwned. The good news, at least for IT administrators and organizations that rely on Linux as a server or desktop operating system, is that the Trojan is in a download that should have no bearing on Linux in a business setting. An announcement on the Unreal IRCd Forums states "This is very embarrassing...We found out that the Unreal3.2.8.1.tar.gz file on our mirrors has been replaced quite a while ago with a version with a backdoor (trojan) in it. This backdoor allows a person to execute ANY command with the privileges of he user running the ircd. The backdoor can be executed regardless of any user restrictions (so even if you have passworded server or hub that doesn't allow any users in)." The post goes on to say "It appears the replacement of the .tar.gz occurred in November 2009 (at least on some mirrors). It seems nobody noticed it until now." Unreal IRC is an Internet relay chat platform. I don't have any numbers on the total downloads since November of 2009, but it seems safe to assume there are a lot of Linux systems out there compromised by a backdoor Trojan. Basically, because of the false sense of security provided by Linux it simply never occurred to anyone to check if the software might be compromised. Combining that false sense of security with the security by obscurity factor that Linux makes up less than two percent of the overall OS market and isn't a target worth pursuing for attackers, means that many Linux owners have zero defenses in place. To be fair, Linux experts are aware that the operating system is not bulletproof. You can pick any flavor of Linux, and its accompanying tools and applications and find hundreds of vulnerabilities. The difference--according to the many lectures I have received in the comments of articles I have written on Windows security--is that the way the Linux OS is written makes it harder to exploit a vulnerability, and that because its open source vulnerabilities are fixed in hours rather than months.